Retirement & Wealth Planning, Inc. is a professional practice providing insurance and investment products to fund individualized strategies for expressed client wishes, concerns and issues in the areas of executive benefits, retirement planning, and wealth management. Service: We provide timely and continuous service to all clients. We sell programs and products to clients with the commitment that we will be here to continue providing service to the client, the client's family, and the client's business in the future. Relationship: We are committed to the client / advisor relationship. We are sensitive to your individual needs, desires, and expectations in all our dealings. Urgency: We are committed to meeting timelines and deadlines to which we have agreed. Timeliness in arriving at appointments, timeliness in following up with clients, and timeliness in providing results to clients are all important to us. Growth: We strive to continually be better as people, professionals, friends, and advisors. We believe in continuing education, personal development, and continuous improvement as individuals and as a firm. Financial Discipline: We are fiscally responsible and profitable. In order to continue our firm, provide service to clients and security to our employees we will manage our finances such that we will always be profitable and well-capitalized. Retirement & Wealth Planning, Inc., works closely with Retirement Plan Professionals, LLC to manage our clients' retirement plans. 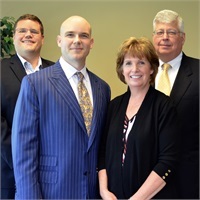 Retirement Plan Professionals, LLC is a highly rated third party administration firm that manages Defined Benefit, Defined Contribution, 401(k), Money Purchase, Profit Sharing, and Non-qualified retirement plans.